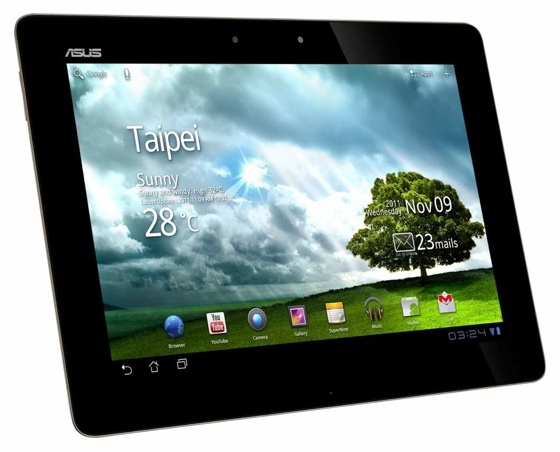 Asus' Eee Pad Transformer Prime, the first Android tablet to be based on Nvidia's five-core Tegra 3 chip, will arrive in Blighty early next year. The 10.1in successor to Reg Hardware's Editor's Choice high-end Android tablet will come with Android 3.2 Honeycomb pre-loaded, but Asus pledged the device will be upgradeable to Android 4.0 Ice Cream Sarnie. Alas, Asus didn't say when such an update might be made available. The Prime sports a 1280 x 800 display covered with Corning's Gorilla Glass. It has 1GB of DDR 2 memory and 32GB of Flash storage expandable with Micro SD cards. There's an 8Mp camera on the back and a 1.2Mp webcam on the tablet's face. Connectivity extends to 2.4GHz 802.11n, Bluetooth 2.1, a micro HDMI port. 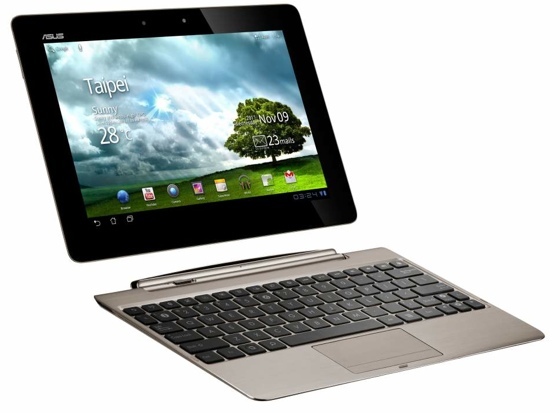 Buy the optional clip-on keyboard dock and you get an extra SD card slot and a USB 2.0 port. The dock has a secondary, 22Wh battery on board to complement the Prime's own 25Wh power pack. 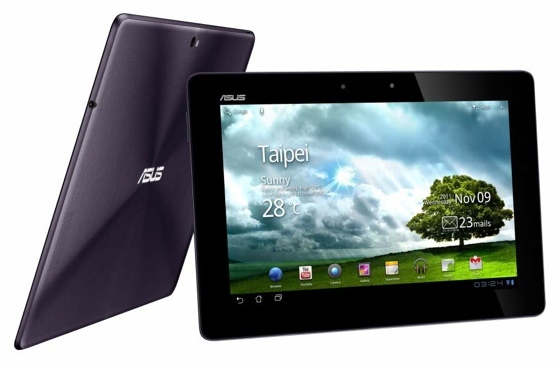 The cost is a doubling of weight - 586g for the tablet alone to 1.1kg for both - and a doubling of thickness to 18.7mm. The Prime alone is a slim 8.3mm.